Gary was born to Emily Beatrice Hunt and Sammy T. Daniels on April 30, 1962 in Miami, Florida. Gary was affectionately known as Moe grew up in Fort Pierce, Florida. He received his education in Fort Pierce school system, and later learned a trade as a Diesel Mechanic. Moe relocated to Miami and began working at Dobbs House as Chef at Miami Internal Airport. He left Dobbs House and pursued is love of working on Trucks and became a Diesel Truck Mechanic for Roadway in Doral, Florida. Moe was genuine and loved his family. Moe was well loved by his Nephews and Nieces. They could call Uncle Moe and he would say Uncle Moe will be right there. Where you at! You knew when he said that he would drop everything and come to your aid. Moe loved his parents and did all that he could for them that he was able to do. Even when he became ill, he never complained, always had a smile and kept you laughing. He loved life and enjoyed having fun. Moe would somewhere in his conversation would give you a mini sermon about God. 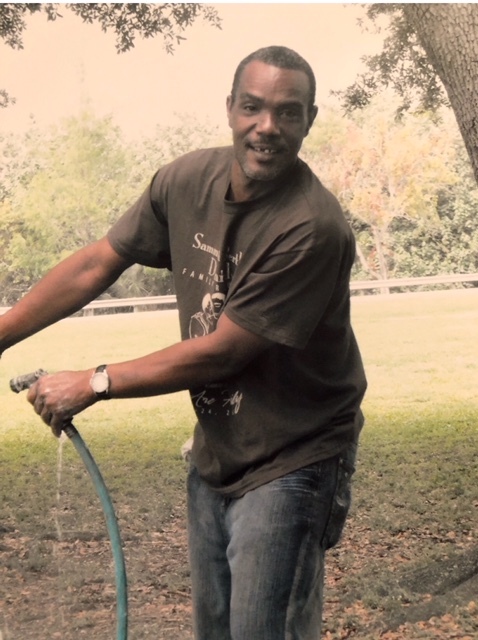 On May 12, 2018 at 10:58pm with his family around his bedside Moe transitioned from earth to paradise leaving to mourn, children, daughter, LaKeisha Wilson of West Palm Beach, son Gary (Gator) Hunt, Jr. grandson DeVonte Bankston, his father, Sammy T. Daniels, Sr., mother Emily Beatrice Hunt (preceded him in death) stepmother, Bertha Daniels, (preceded him in death) Eight, Sisters, Rubie Pratt, Linda Ferguson, Angela Staton, Rita O’Shell (all in Miami, FL), Doris Lewis (Fort Pierce. FL), Diane Poole (Savannah, GA), Ella Goodman (Fort Pierce), Sabrina Todd (Miami, FL) and La-Donna Woodson ( Fort Pierce), Two brothers, Sammy T. Daniels, Jr. and Keith Daniels (Miami, FL), Three Brother In Laws Bernard Staton, Steven O’Shell, Ladrus Goodman (preceded him in death) and Eusebio Todd all of Miami, FL, two aunts, Mary Jackson and Leslie Hunt of Miami, FL, Godson, AJ, a special friend Helen Hammett, a host of Nieces, Nephews, cousins and sorrowing friends.